The featured event for this Weekend Warrior post is the Hotter'N Hell Hundred. Today, August 23, riders and races from all over the world will congregate in Wichita Falls, Texas to celebrate the 27th annual Hotter’N Hell Hundred. The Hotter’N Hell Hundred is one of the oldest and largest cycling events in the United States. Fitness oriented riders and bicycle races will face wind, heat, and rolling hills with long inclines on the 10k to 100 mile routes. 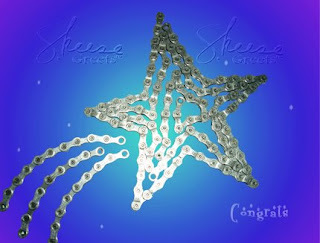 Congratulate someone you know participating in the HHH with a Congratulations Card from Skeese Greets!